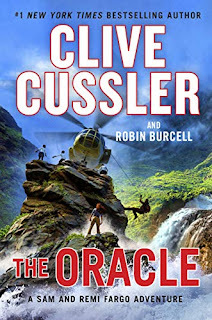 Husband-and-wife treasure-hunting team Sam and Remi Fargo return for a new adventure as they hunt for ancient treasure--that may or may not be cursed--in this thrilling addition to Clive Cussler's bestselling series. In 533 A.D., the last King of the Vandals still rules in northern Africa--but a prophecy reveals that his reign is doomed. Years before, sacred scrolls had been stolen from a high priestess, who cast a curse on the kingdom unless they were returned. The Vandal kingdom falls before the scrolls are ever found--leaving their location a mystery--and their discovery is the perfect challenge for Sam and Remi Fargo. However, before they can hunt for the scrolls, the Fargos must tend to problems within their charitable foundation. When they learn that a shipment of supplies intended for a school in Nigeria has been stolen, they travel into the heart of Africa to deliver new supplies themselves. However, their mission becomes infinitely more complicated when they run afoul of a rival bands of robbers. One of these groups later takes Remi and a group of students hostage, and there are signs that the kidnapping is related to the missing scrolls. The Fargos will need all of their skills to uncover the hidden treasure and to protect everything they have worked for--and their lives. 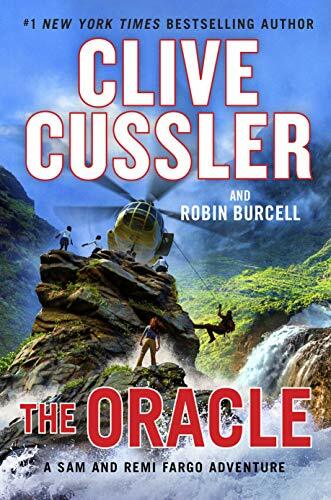 As much as Dirk Pitt defines Clive Cussler, Sam and Remi are quickly becoming my favorite adventurers to follow. Can't wait for this! Very Indiana Jones-ish. I'm intrigued!